Gold Bond® BRAND eXP® Tile Backer is an acrylic coated moisture and mold resistant gypsum panel specially designed for use as a substrate for tile applications in high moisture areas. eXP Tile Backer is manufactured with an enhanced moisture and mold resistant core and facer. 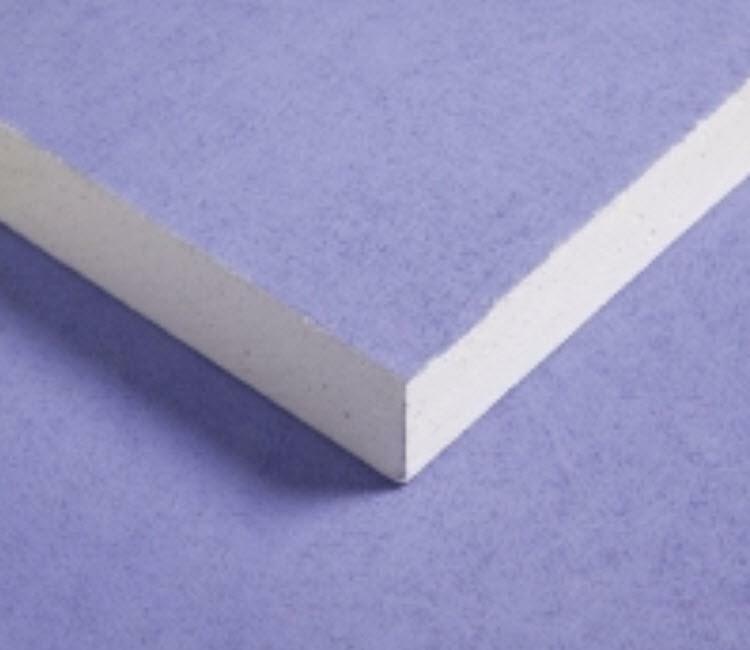 The facer is composed of an acrylic coated fiberglass mat which provides superior moisture resistant capabilities. eXP Tile Backer is identified by National Gypsum’s original PURPLE® color on the back and gray acrylic coating on the front.